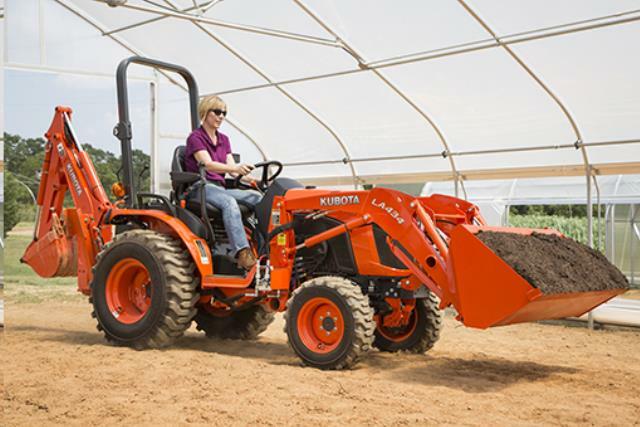 When comparing prices on Kubota loader backhoe and tractor rentals in Campbell, San Jose and Santa Cruz, ask about sales tax and environmental fees. 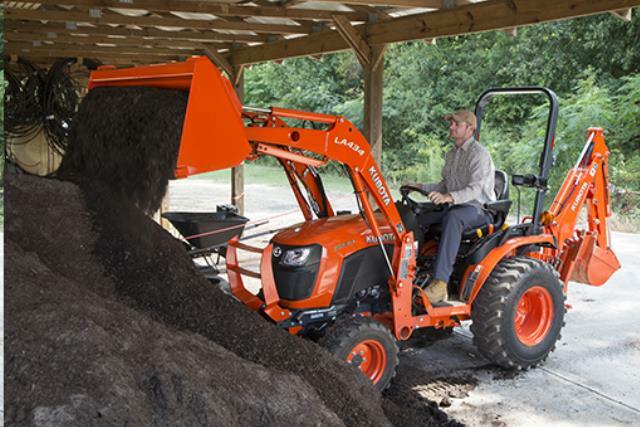 The model comes standard with a 22 HP Kubota diesel engine, is compact enough to fit in many areas inaccessible to larger machines. It is powerful enough to tackle many big machine jobs, such as septic tank installation, water, sewer and gas lines, landscaping, spreading or loading. Front Bucket Dumping Height 78.5 "
Front Bucket Lifting Capacity 650 lbs. Note: This 4 Wheel Drive Tractor is not designed to operate on slopes. To safely tow this loader backhoe, A Tool Shed requires a 1/2 ton full sized vehicle or larger. You must have a 2" receiver type hitch that is attached to the frame of the vehicle, in good condition, and rated at 7,000 lbs. or more. * Please call us for any questions on our 4 x 4 kubota backhoe tractor loader rentals in San Jose, Campbell, Salinas, Santa Cruz, Watsonville, Morgan Hill, Hollister, Santa Clara, Gilroy, Milpitas Sunnyvale, Fremont, Salinas, the Greater Bay Area and the Monterey Peninsula.